1.1. 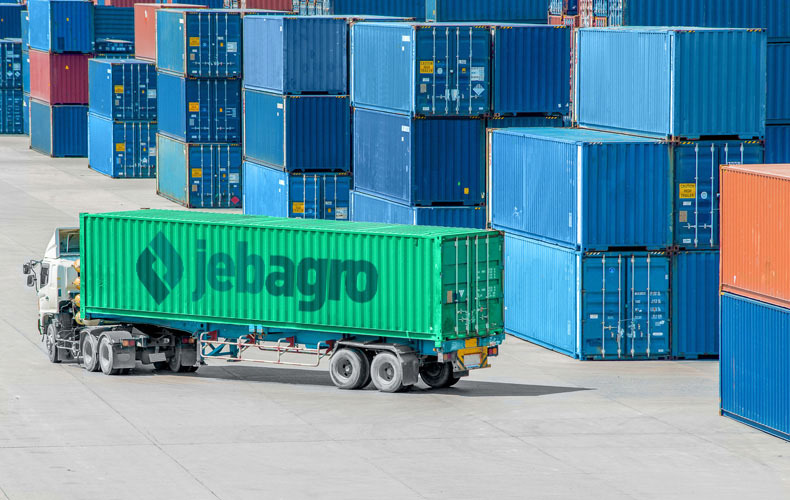 Offers, sales and deliveries to companies will only be provided on the following conditions (hereafter called the “GCS”) of Jebagro GmbH (hereafter called the “seller”) insofar as they are not amended in writing overleaf or by an explicit written agreement between the purchaser and the seller. These GCBs replace all other agreements previously concluded in writing or verbally between the seller and the purchaser. These GCBs do not apply to consumers in the sense of § 13 BGB (German Civil Code). 1.3. The seller will not recognise the purchaser’s contradicting or deviating General Conditions of Business or Purchasing unless the seller has explicitly agreed to their application. Regardless of how such conditions are expressed, the shipment of the goods in particular does not constitute the recognition of such conditions. The transfer of title to the goods shall only take place in accordance with these GCBs. An objection to contradicting conditions shall remain in force even if no repeated explicit declaration is made before, during or after contract conclusion. 2.3. For both partners, the fulfillment location for goods contracted to be supplied “ex warehouse” is Hamburg (ex warehouse (EXW) Hamburg, Incoterms 2010), insofar as nothing to the contrary is stated in the seller’s confirmation of order or offer. Insofar as the confirmation of order and the seller’s offer specify different fulfillment locations, the confirmation of order - as the most recently dated document - is definitive. 2.4. Insofar as unloading, shipping, departure or arrival times or data respectively are stated or listed by date, such dates are approximate. Fixed dates have only been agreed where the respective dates have been specially highlighted with a corresponding remark. 2.5. The seller has the right to ship or dispatch the contracted goods in one or more partial loads with or without transhipment, insofar as these amount to at least 25 % of the ordered quantity. 3.1. The contract is concluded on the proviso that the seller’s own supplier delivers correctly and punctually. The proviso of delivery to ourselves only applies in case the seller has concluded a congruent covering transaction with his own supplier. 5.7. The seller is only liable to provide compensation for damages in case of culpability. The seller’s liability to provide compensation for damage, especially for a violation of obligations, delay in fulfillment, non- fulfillment or non-contractual fulfillment due to minor negligence is excluded. This shall not apply in case of the negligent violation of essential contractual obligations by the seller or his legal representatives or vicarious agents. In such a case the seller’s liability is limited to directly foreseeable damage typical of the contract. An essential contractual obligation is given where the violation is related to an obligation upon which the purchaser depended and was entitled to depend. 8.14. The purchaser is obliged to take such measures as are required to justify or maintain the reservation of title - or a comparable security right in the country of his branch or deviating country of destination - and to provide corresponding evidence to the seller upon request. Failure to comply constitutes a fundamental violation of the contract.